IDF SOUTHERN COMMAND FIRES CENTER, BEERSHEBA, Israel — From this new two-story command center in southern Israel, a colonel from the Israel Defense Forces' Artillery Corps is responsible for orchestrating firepower from among air, sea and land shooters, all of them interconnected through a single C4I network. During full-out wars in Gaza or fairly routine retaliatory strikes for rocket launches from the Hamas-controlled strip, targets are assigned according to how rapidly and precisely they can be delivered through the network. Increasingly, that colonel and many others in the IDF and in industry say the job of destroying fixed targets as well as so-called targets of opportunity is given to the Artillery Corps, which operates precision-strike assets formerly reserved for the Israeli Air Force. "Whether its Air Force, Navy or my own Artillery Corps, I don't tell the professional disciplines how and with what means to destroy the target. I don't care if it's an attack helicopter or any other platform, I just tell them this is the target that must be destroyed," said the colonel, commander of the Fires Center here. 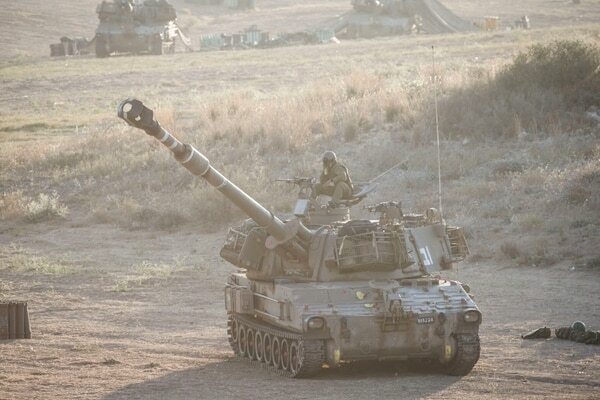 He noted that with increasing connectivity, new weaponry and what he called a network-centric concept of operations, IDF ground forces in general — and the Artillery Corps, in particular — are taking on missions traditionally entrusted to air power. "Today, we're dealing with finding targets, if they are in the windows of a specific apartment building or an opening of a tunnel. … We're now able to close the circle in a very short time, and we've become more lethal and more precise in the process," said Col. Rami Abudram, a career artilleryman who recently completed command of the Corps' 425 Flame of Fire Brigade. He noted that in addition to increasingly precise and longer-range missiles and munitions, the Artillery Corps is operating UAVs. Eli Reiter, a brigadier general in the IDF reserves, manages the Firepower Division for state-owned IMI Systems. A former head of the IDF's Training and Doctrine Command, Reiter said the mating of doctrine with technology that allows ground forces to strike targets within less than 10 meters — regardless of range — is driving "a conceptual and operational revolution" for Israeli ground forces. "The concept is crystallizing and the principals are coming together in the realization that forces on the ground are just as capable as air power in delivering precision strikes, whether targets are a few tens of kilometers or hundreds of kilometers away," Reiter said. The Israeli Artillery Corps can be seen on July 14, 2014, at the Israeli-Gaza border. Israel's operation Protective Edge had entered its seventh day as the Israel Defense Forces continued to carry out airstrikes across the Gaza Strip, with reports suggesting more than 166 people had been killed, the majority being civilians. "You don't need to plan or await complex air operations. And because we're working with GPS systems, we don't have to deal with fog, smoke or bad weather. From the moment you identify the target, the C4I system serves as the trigger that fires the rockets. Then it's a matter of one to three minutes, according to the flight time of the rocket. You don't need to wait for an airplane or helicopter to arrive," Reiter said. "Capabilities that we only dreamed of lots of years ago are now being deployed. And this allows an unburdening of sorts for the Israel Air Force, which can focus on missions that are essentially air power in nature." Extra, a four-meter-long precision artillery rocket designed to carry a range of warheads up to 120 kilograms at distances of 150 kilometers. At maximum range, IMI claims a circular error of probability, or CEP, of less than 10 meters, meaning Extra will strike within 10 meters of designated targets. 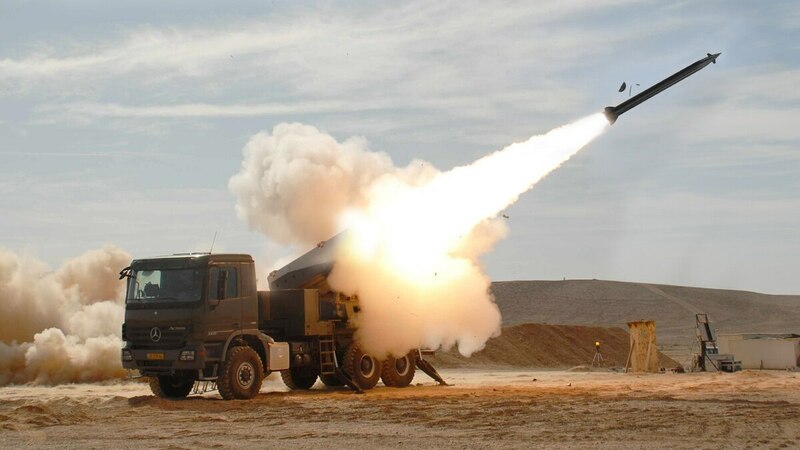 Romach, recently declared operational in the IDF Artillery Corps, this precision rocket is used to support maneuvering forces or strike targets at ranges of 40 kilometers. Like Extra, Romach has a CEP of less than 10 meters. Prior to his retirement last year, Abudram, the 425 Brigade commander, said his brigade used Romach in live-fire drills and was delighted at the results. "We used it in a big training exercise with the Sinai Brigade and scored direct hits. It was amazing. It embodies what the ground forces can bring to bear in the world of precision strike." Both Extra and Romach precision rockets can be launched from the common Lynx launcher, an IMI product that is operational with the IDF Artillery Corps. According to IMI, after the Lynx launches its munitions, it can be reloaded in less than 10 minutes, while an advanced fire-control unit renders operations fully automatic. Yet another, much longer-range system under evaluation by the IDF and approved foreign militaries is the IMI Predator Hawk, a 5-meter-long precision rocket designed to carry warheads of up to 200 kilograms at distances of 300 kilometers. "This weapon will deliver precision lethality very deep into enemy territory," Reiter said. Israel's Artillery Corps recently inaugurated a school to train officers like the colonel commanding this fires center here in Beersheba, home to the IDF's Southern Command. The new school, at a base in the center of the country, aims to certify war fighters "in how to act in joint battle, working with intelligence people shoulder to shoulder … to understand how to attack correctly and to be more selective in matching our firepower to specific targets and scenarios," Col. Dubi Cohen, then-deputy commander of the IDF Artillery Corps, told Defense News last summer. According to Cohen, the operational concept driving the IDF Artillery Corps involves three key elements: selectivity, precision and availability. Cohen said the Corps aspires to shorten the time from target identification to target attack as much as possible. "Our aspiration is to get to tens of seconds. There are some places where we can already do this, but other places where this remains a goal. … But with new weapons coming online and the way we are organizing ourselves, this is not an unrealistic goal for us. "The world of precision is starting to evolve, from our Romach to much longer-range systems that will come into the force. … It's a really significant advancement in the world of attack."